Happy Halloween - Hope you that have children who Trick or treat have a safe evening. Those who party be safe in your travels. Today is Free Friday at Catch the bug we have AKV winter sled girl she has such a cute face and looks like a lot of fun. I loved tubing down a great hill at a private neighbors home. It was awesome. Kept us off the streets and safe. I added a lot of snow under her, added my cloud template and a sentiment. It's a one layer card. Hope you get the free image. If it's not in the store when you check please check back later. sometimes life gets in the way and it gets posted later then usual. 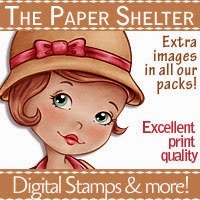 You will love using this cute image. The paper shelter #180 - is it too early for Christmas? You are seeing dots.. lot's of dots.. Polka dots to be exact. I think I may of over done it but the theme is POLKA DOTS.. I used the image Always in my heart Sophia I just cut a lot of circles and backed them off center on black to give a little contrast. I stamped my sentiment on the circles and cut out Sophia. I hope you play along and lets see what you have for polka dots. 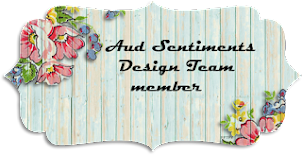 recipe: Sophia always on my mind, American craft dp, su, scraps, pti die, mft die, enamel dots, copics, ss sentiment. For those who like fast easy color images this is the one for you. 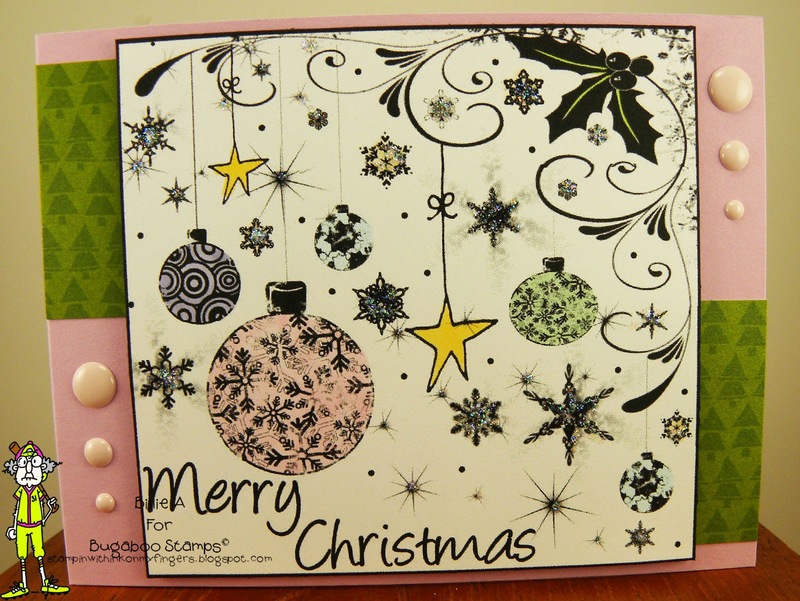 I just lightly colored the ornaments and used the designer paper and the card base to make the card complete. I tried to do a glitter technique all over but it just gave a fuzzy look so round filed that mistake. LOL The idea was good but not for this type of card at least for me. 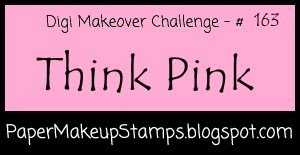 It's a sad sad day at Paper Makeover.. this will be our last challenge. It's sad but totally understandable. Our lives change and we have to do what is best. The store will still be open but the challenges will close. I am still on other creative team so I will be posting as usual. Now on to todays challenge..
Wow it's almost the end of October and Halloween and colder weather. 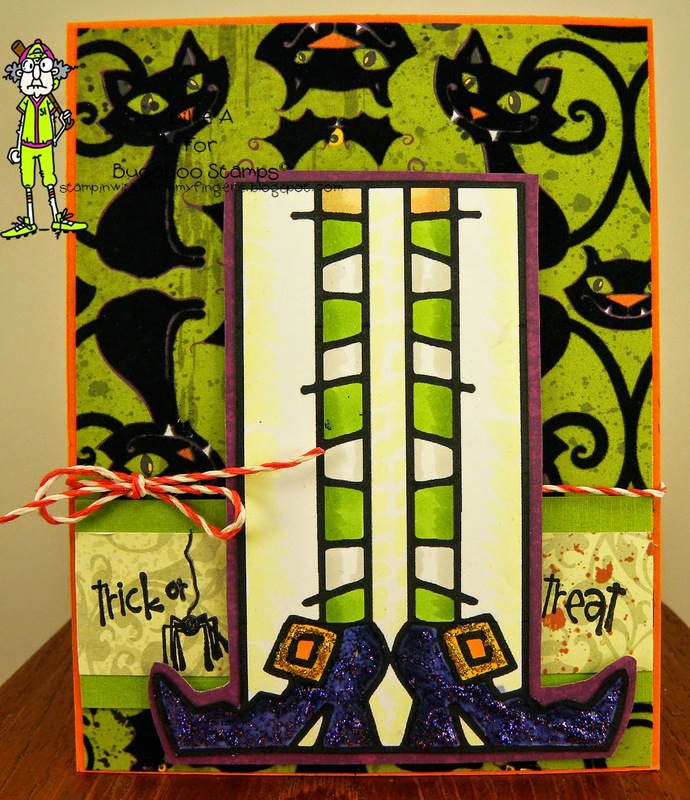 It was fun to make a fall card with out it being Halloween. 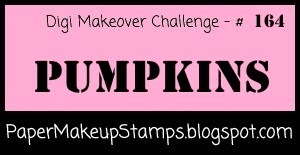 I chose to use the pumpkin images called color it autumn at Paper Makeup. I just cut them out and colored them then thought I would make a pumpkin from oval punches and add the sentiment over it. I used washi tape to give a frame look. It's a fun card. I hope you play along and remember to use a digi..
recipe: color it autumn, su, washi tape, punches su, pti die, copics, ms punch, enamel dots. This cute little girl is the free Friday image.. She is ready for Christmas. I know she's on the way to your house.. (she's free) I love the papers from BG. Eskimo kisses. I liked the trees on the left but once it was made it looked too plain so I added the twig die thing.. then called it quits.. but kept looking at it as I was making other cards and so went back and added the sequins. I think that gave it a good look. I hope I did not over do it.. I hope you get over to the store and grab this cutie while she is there. 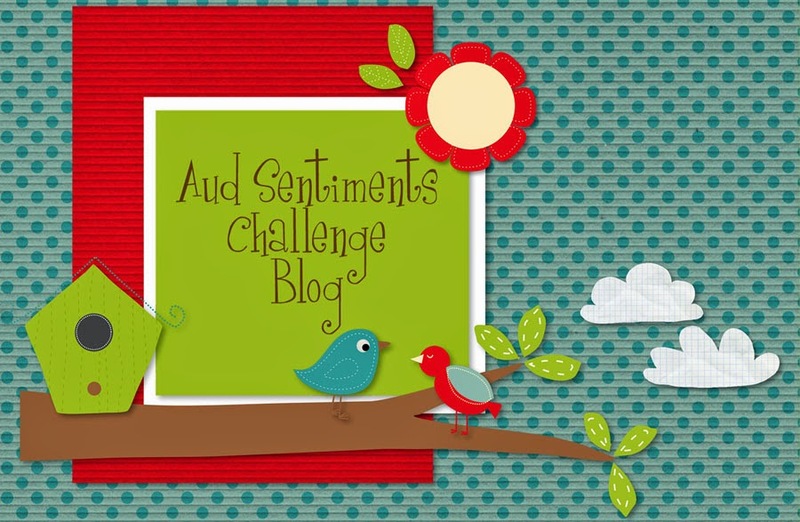 Welcome to another two week challenge at Aud Sentiments #118 for our 2 or 3 word sentiment. Not one or four words but 2 or 3 words.. Make sure they are on the front of your card. 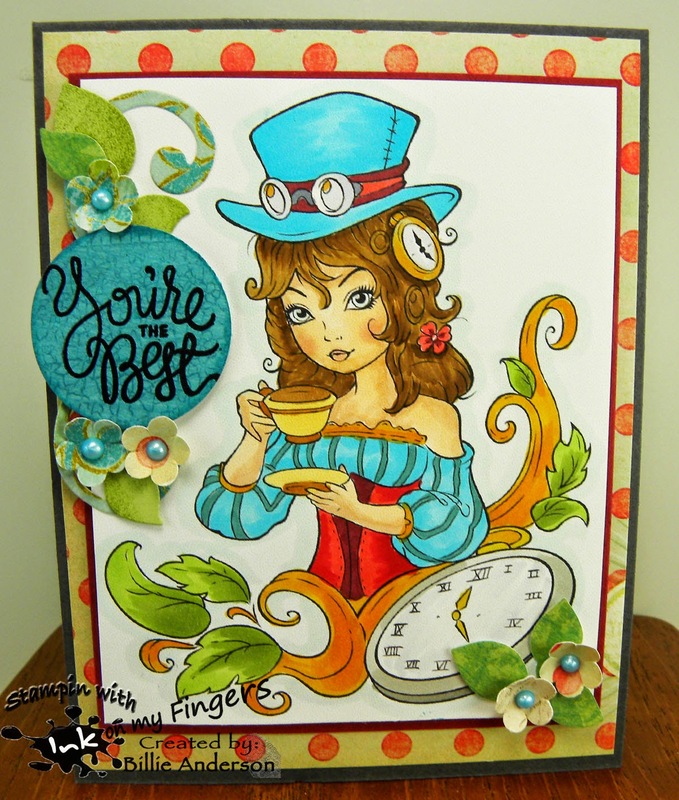 This challenge is sponsored by The Paper Shelter and I chose to use the image "It's tea time"
This is my card and I had a fun time coloring her and trying to figure out the color's I wanted to use and how to color. I know there are some jewels in her hair and I just made them part of her hair mainly because I wasn't sure how to color them and it also looked like it could just be a curl of her hair so I chose to go that way. 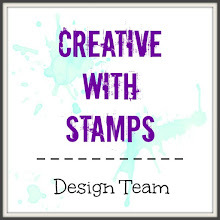 I chose to use 3 words from a new stamp set from Simon Says called "what's brewing". Fun image and I hope it inspires you to play along and add your two or three word sentiment on the front of your card. You have two weeks to play along. 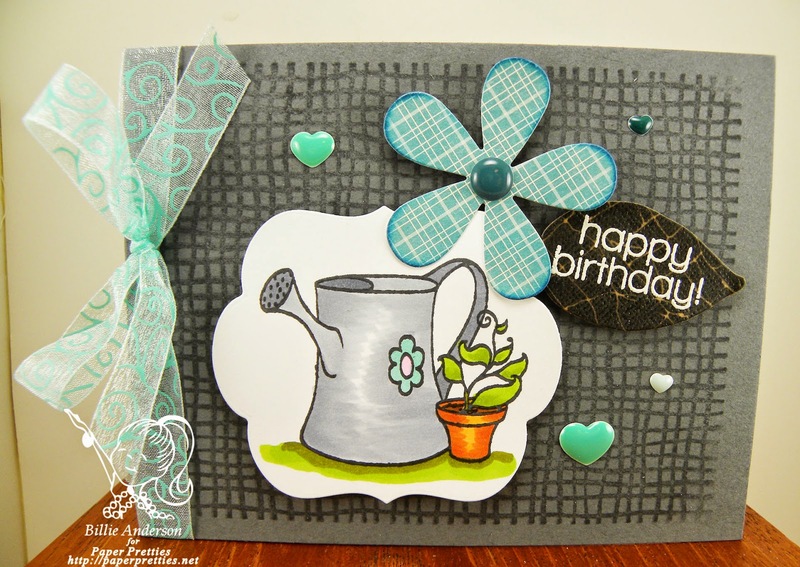 I have not used this burlap background stamp in like forever and I like the added touch it gave to the card. I used versa mark so it just gave a tone on look. Its really a colorful card even if it does have the dark gray. These little guys looks like they are have a lot of fun. I added a lot of snow below them with the glitter. 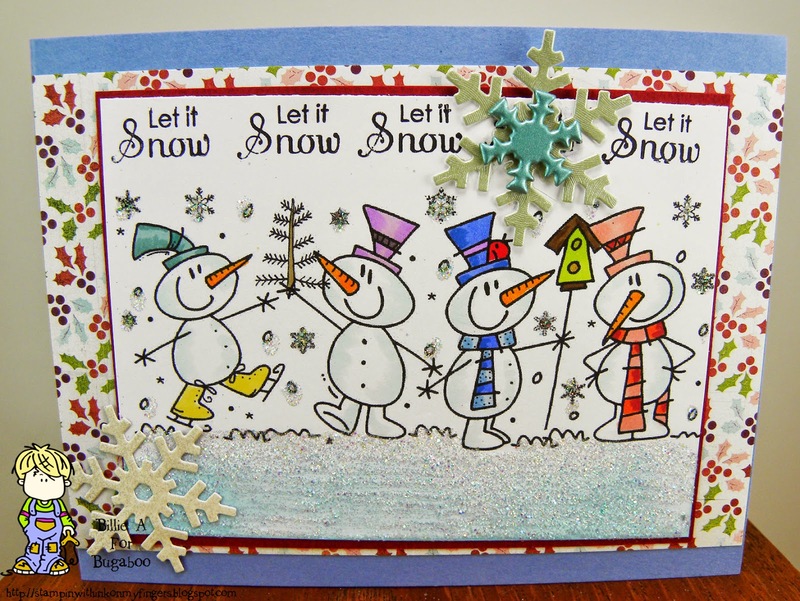 I stamped let it snow across the top.. messed up on the 4th one so added a snowflake to cover my missed up stamping.. sure glad it was a small sentiment.. LOL. Added some fun papers and called it good. I am not a pink person but boy I have a great time making this card. I used image MOODY FOR PRESENTS.. I colored her with copics and used glitter on her hat and sweater. I at first was concerned about her eyes but realized she was looking at her arm load of presents. Then I felt better and I felt better getting another Christmas card made.. Woo Hoo... 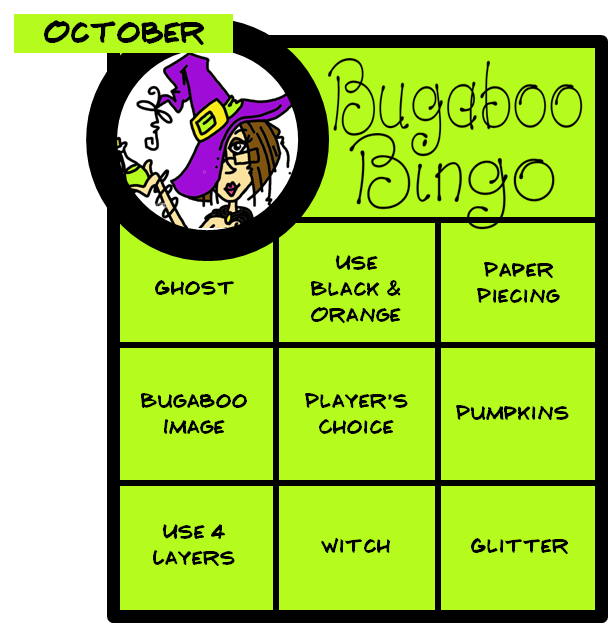 I hope you play along and remember to use a digi..
Catch the bug BINGO Saturday - choose any three in a row.. I chose the bottom row for my card. I know the image is in the store somewhere but sorry to say I could not find it.. If by chance I do later I will link it. Mini set Halloween blocks. Woo hoo got the link.. Lucky you if you want this image and it's a set so there are other awesome images. I colored her with copics and used stickles for the shoes. Loving the purple shoes. The papers are from recollections, love those cats.. funny vampire teeth and the cats have a suede touch, really a nice touching feel where you want to touch it all the time.. 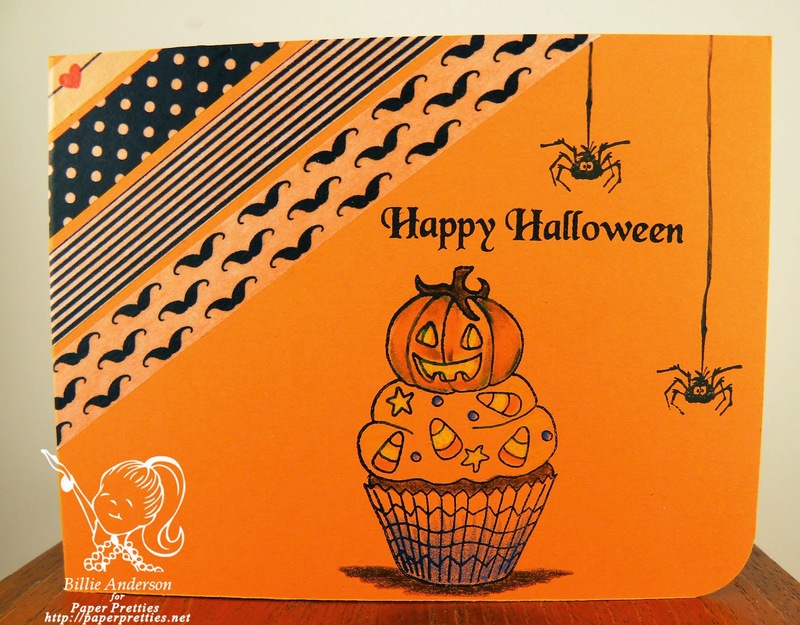 I had a stamp set from Heidi Grace for the sentiment and added the spider to give a little extra fright... boo!! Hope you play along. 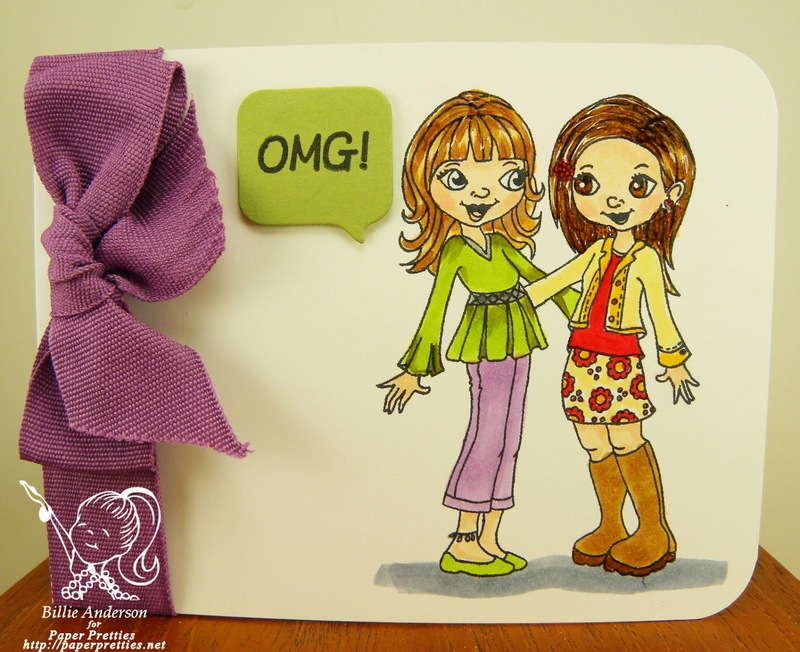 You have a week to play and sure you have to have some awesome images so play along..
Paper Pretties #332 - Friendship - OMG! I used the image Best friends for my friendship card. I love the OMG!.. I know it's seldom used in my language but it was fun to use on this card. I also love the large purple ribbon. I really needed something to even out that side of the card and the thin ribbons just did not cut it. 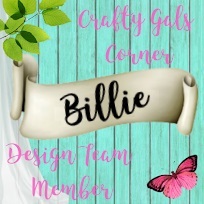 I hope you play along and post your card over at Paper Pretties. 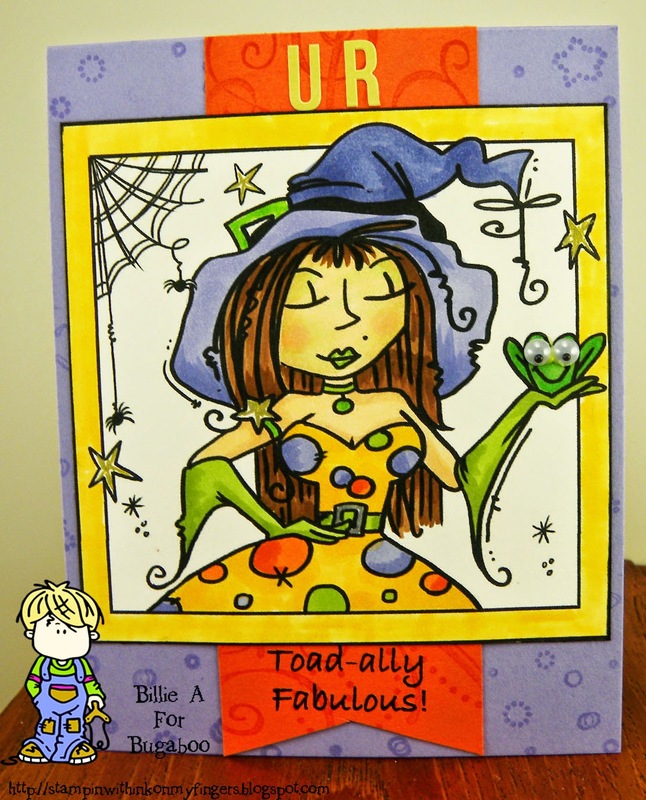 Crafty sentiment - things that start with "G"
Catch the bug / Bugaboo New Release - UR Toad-ally fabulous! I had to add the google eyes to this awesome frog and give the witch a hint of green on the face and her lips.. If she kisses the frog she has to have green lips right??.. I think this drawing of Jodies is really funny and cute. 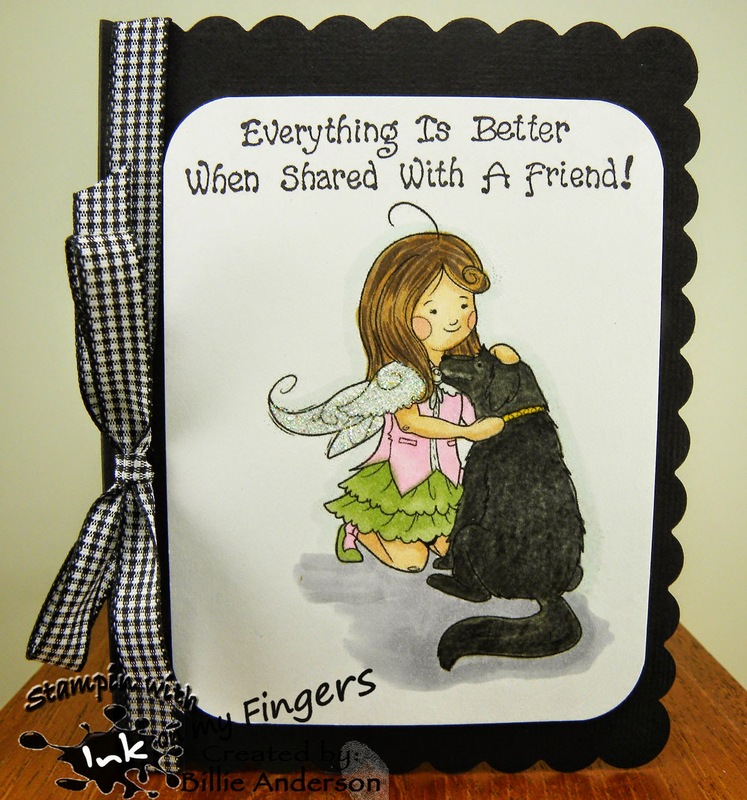 I had this sentiment below from Pink stamper so added the sticker letters above UR and it made for a fun card. simple and cute. Recipe: Frame it witch frog/bugaboo, su paper, pink stamper sentiment, Kelly perky letters, copics, su wheels for background look, google eyes. I chose to use MeMe fairy for the image for my card. I was not sure what I wanted to do using black so decided to color the dog black.. I don't think it's too bad. Sure there are other copic users who know better ways. But I am ok. Will give me chance to look around and find what needs to be done to get a good black image. Looks like U-tube will be my teacher. I hope you play along. 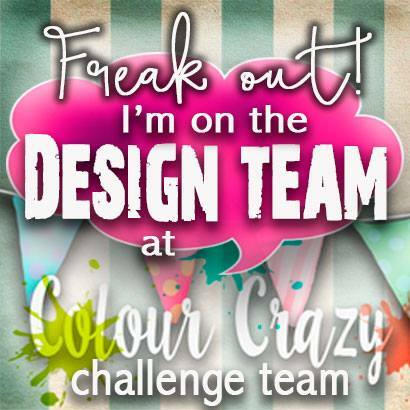 Remember to use a digi and play along.. Cant wait to see what you choose for black. This is my card for the Fitztown #57, challenge Anything goes.. I used the Last Encounter 5 image. She is quite the warrior and with her bow I thought the Hello Love was good. I hope you play along and have fun. It's Anything Goes.. So let's see what ya got. I used a scalloped card from club scrap, I die cut a large moon and sprayed it with angle mustard spray and it's got a cool greenish/gold/glitter look in real life. I stamped the bats and then colored the a kids view (AKV) image and did a ruff cut of the image. put it on pop dots and embossed the sentiment on the bottom. Fun image. 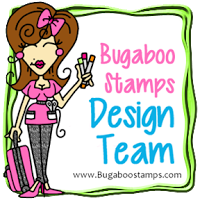 I hope you get over to the Bugaboo store and get the free image and check out the other great images that are in the store. 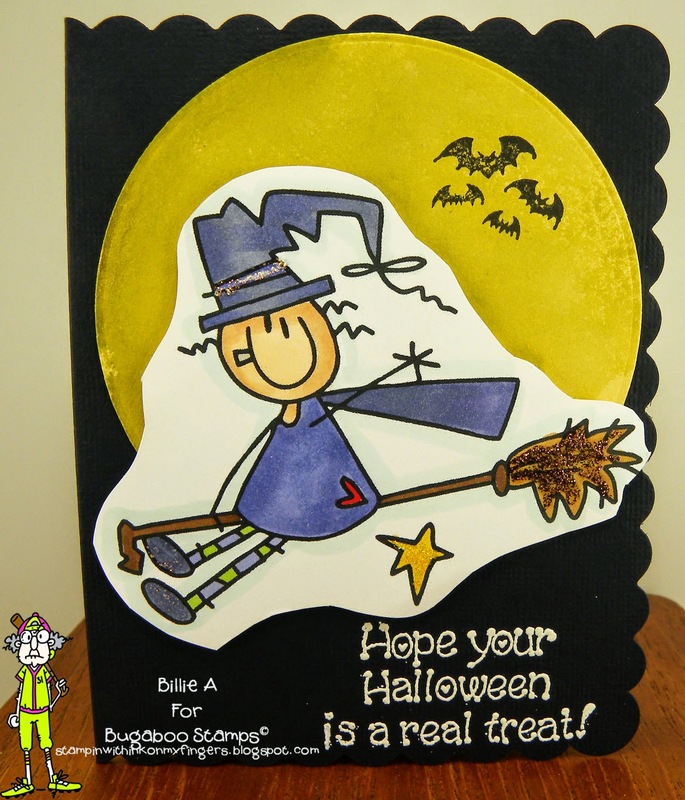 recipe: akv witch broom bugaboo, club scrap card base, angle mist spray. 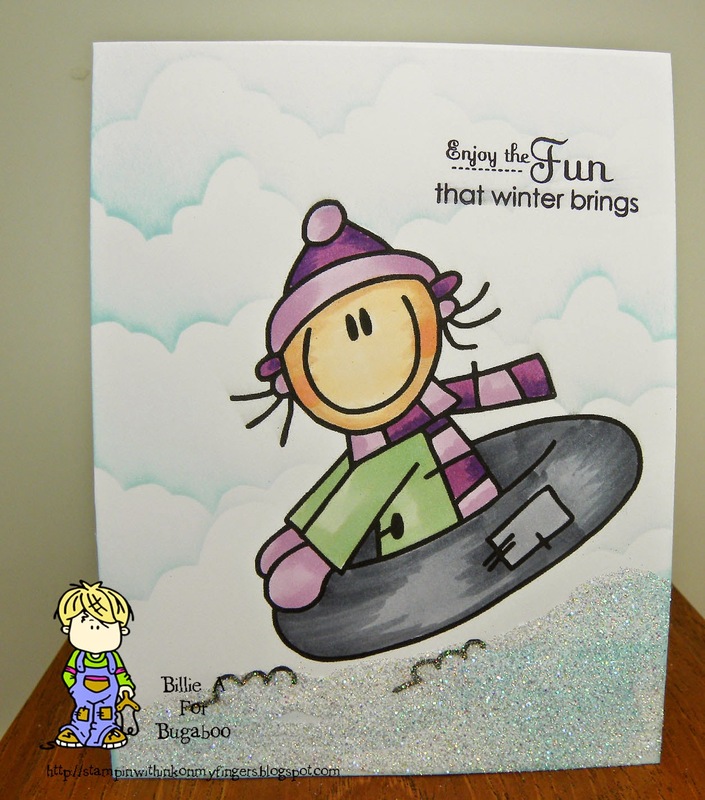 copics, stickles, embossing powder zing, darcies sentiment, psx bats, mft die, scrap. 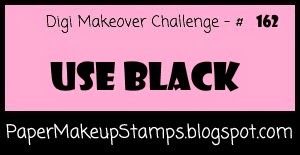 This two week challenge is sponsored by Lacy Sunshine. 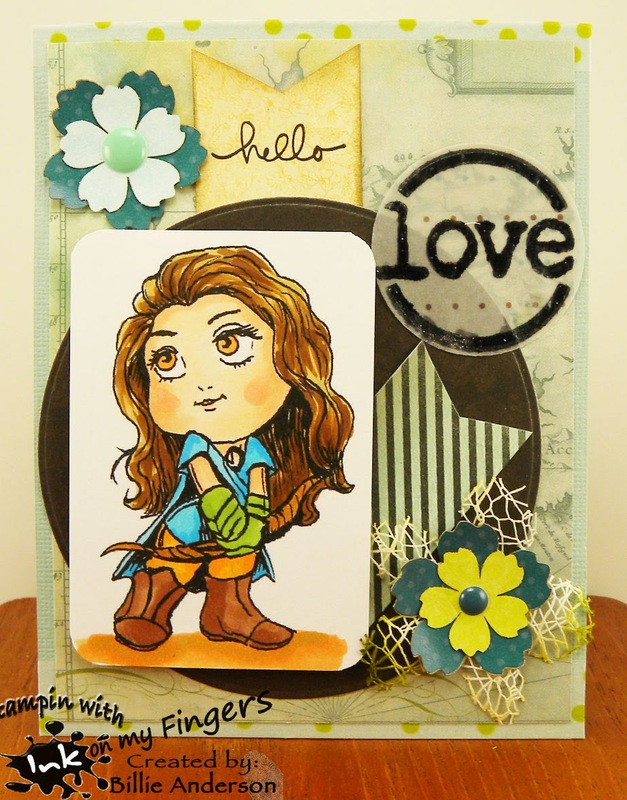 I chose to use the image Tabbi Boo by Lacy Sunshine.. She is so cute. I thought she was in deep thought and made my card with this in mind. 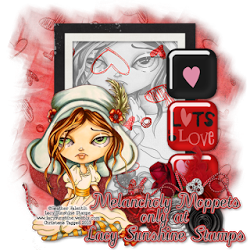 recipe: Tabbi boo/lacy sunshine, QQ dp, club scrap dp, ribbon, enamel hearts, copics, mft die, pti inside sentiments. 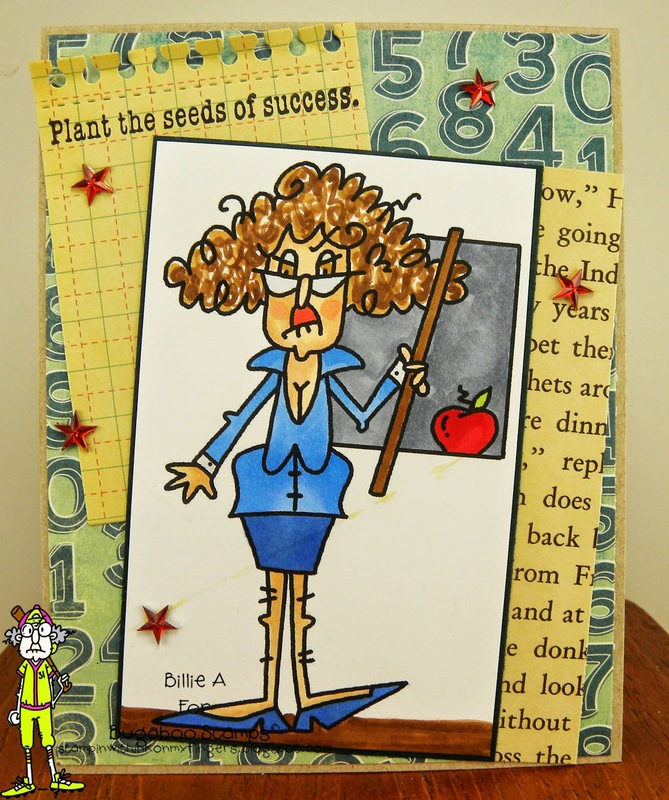 This week is World Teachers day and so I chose that for my humor me Wednesday card. Using Stella September. I used the papers from Cosmo cricket, and my minds eye. I had this stamp by I don't remember who puts it out. I cut it apart and only used the Plant the seeds of success.. It was something I think a good teacher tries to teach children to be the best they can be and to be successful. I added the stars because I remember always getting gold stars when I was in school.. oh my that was a long time ago. recipe: Stella Sept. /bugaboo, kraft su, cosmo cricket, mme, pti note book die, copics, sentiment?, stars /queen & co.
Ok I always get confused on C&S because I seem to over doooooo... I just have that problem when it says C&S.. But this was so easy. I used washi tape on the left side.. see the mustache washi.. I thought it looked like bats .. funny huh.. I took advantage of the orange card stock and had very little coloring beings I had a pumpkin and candy corn. I used color pencils to give the extra colors. How about those spiders. I love those little guys. They are so cute and add a nice touch to the card. I used Holiday sweets image. I hope you play along over at Paper Pretties. I thought he looked like he was celebrating a birthday so that I what I made. It could be celebration of anything. 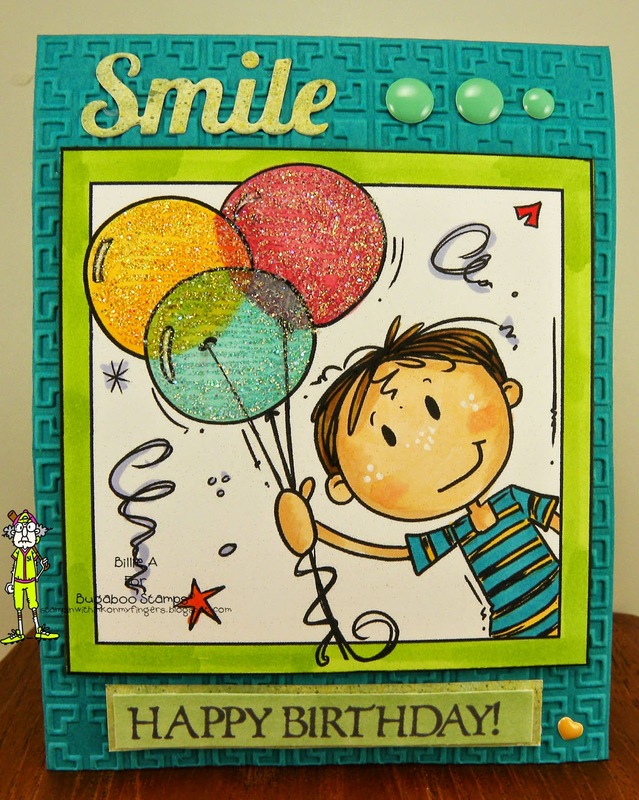 I used a all over embossing folder for the card base, added the smile die from Tech. Tues. and the enamel dots and heart mme. The happy birthday is just an old stamp I have from club scrap. For the image I colored with copics and used glitter on the balloons, I added the strings behind the two balloons because I made them see through and it looked funny with out the strings when I was done coloring. I gave him some white freckles on his cheeks and nose. He did have black freckles.. I love the bright happy card that it is. 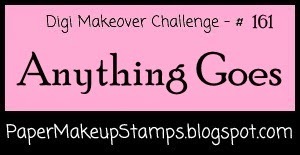 Paper Makeup #161 - anything goes.. Whoooo loves you? I chose this cute owl called Webster owl from Paper make up.. Humm whooooo will get this for a birthday card?? I know someone who loves owls but I don't know her enough to give a card. I am sure I will find someone. I hope you play along. It's one of the all time favorites being ATG. Just remember to use a digi in your entry. 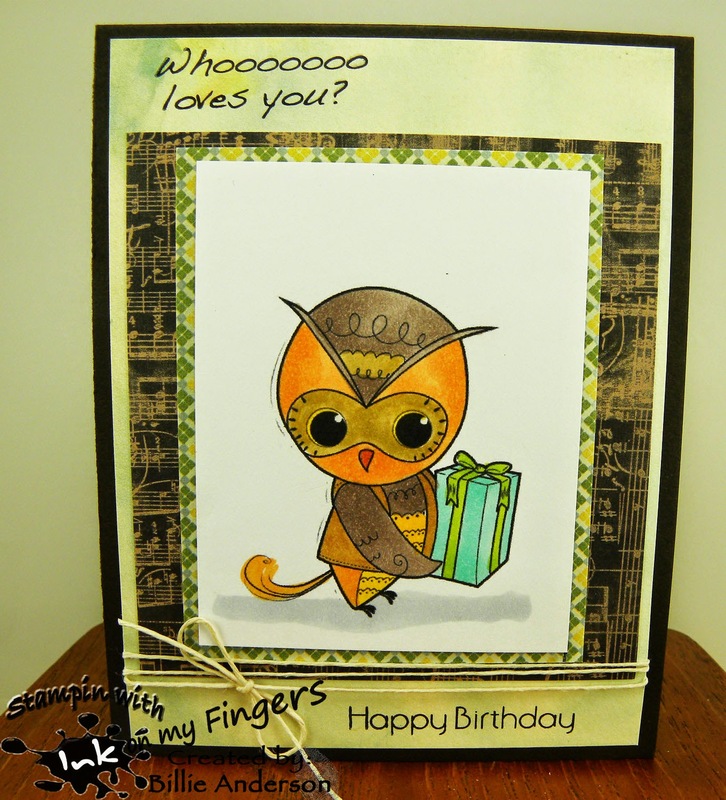 recipe: Webster the owl, su, bg serenade, paper pretties happy birthday, pink stamper sentiment, twine, copics. Today we have a new weekly challenge and it's an all time favorite. Catch the bug - Anything goes. 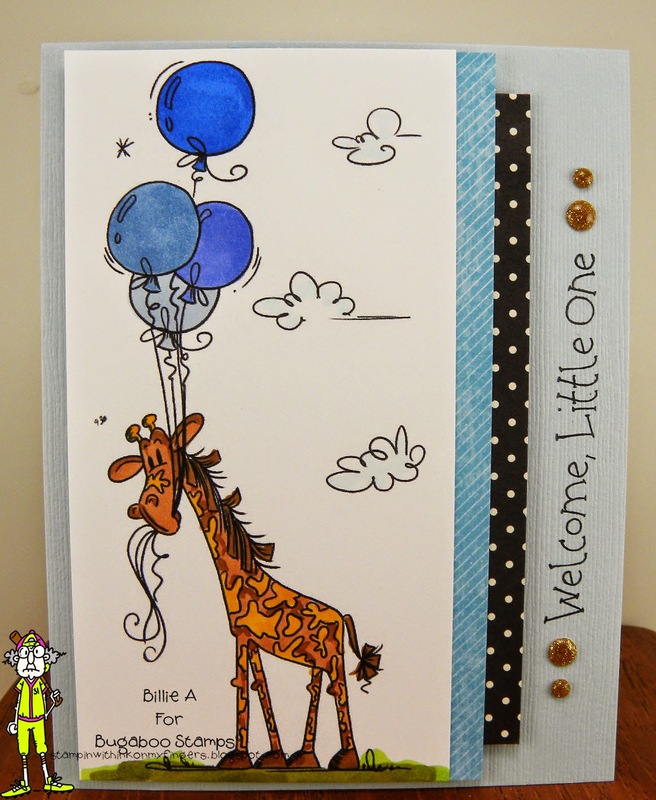 This is the card I made for the anything goes.. using balloon giraffe .. Isn't he the too cute. I love the look and those balloons. I decided to make this a boy card, but I guess it could be either. It was quite fun to color and make this card. I added some strips of papers and the sentiment with some glitter enamel dots. Quite easy and simple. I love pansy flowers and the way they come back year after year. So many fun smiling faces on them. I used some great matching ribbon and a yellow button tied on with embroidery floss, added a butterfly and the lovely sentiment. Fun great tag. 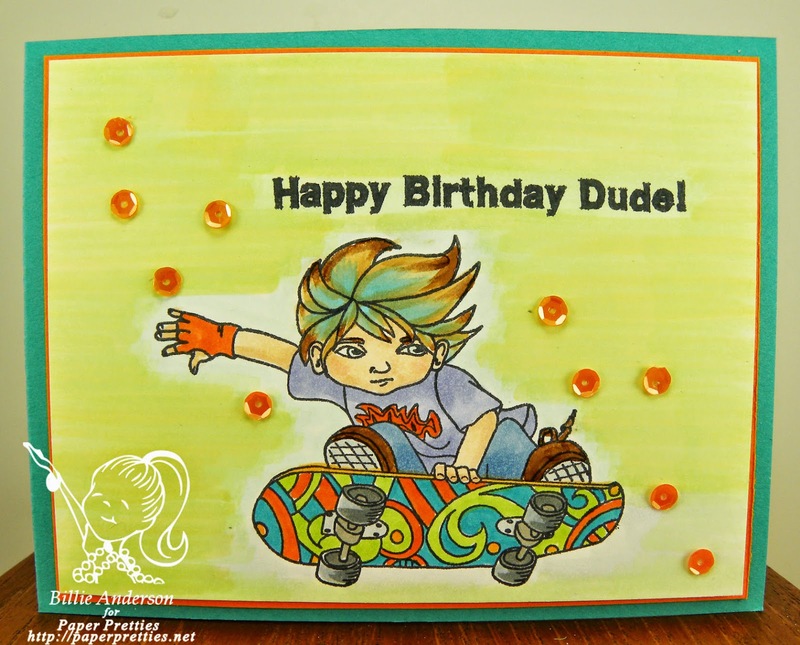 Paper Pretties # 330 - SPORTY - Happy birthday dude! I know there are skate boarders who do this as a sport.. So I chose skater Zac. I .. in my lot younger days had a skate board and my girlfriend and I would go over to her Uncles on Bainbridge Island in WA. state to use our skate boards. In those days back in the 60's there was not a lot of traffic. It was mostly a vacation island in the Puget sound. I am sure now day's its over populated as all the areas seem to be. Any how I hope you play along and make a sporty card.